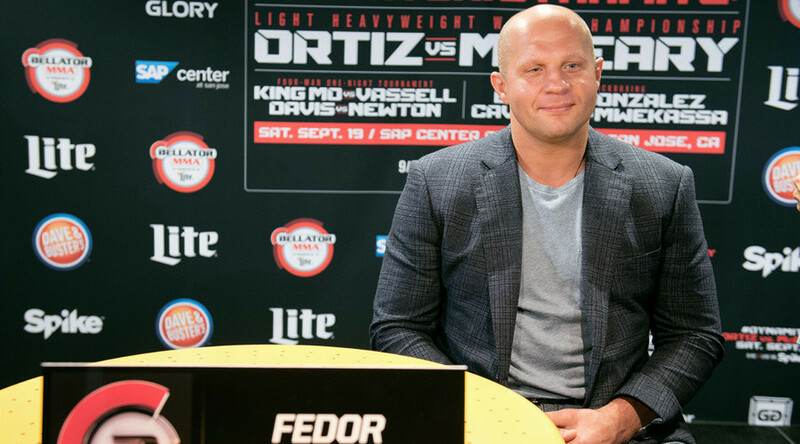 Russian MMA legend Fedor Emelianenko’s Bellator debut against Matt Mitrione has been rescheduled to take place at New York’s Madison Square Garden on July 24. The two fighters were originally set to meet at Bellator 172 in San Jose, California on February 18, but the fight was called off just hours before the event when Mitrione was hospitalized with kidney stones. While it had been reported that Fedor could fight this summer, the name of his opponent had been in question due to uncertainty over Mitrione's health. The name of another Bellator heavyweight, Muhammed ‘King Mo’ Lawal, had also been touted by the organization’s president, Scott Coker. However, nypost.com reported on Monday that Mitrione will take on Fedor at Bellator 180 in New York, which will be headlined by the bout between Chael Sonnen and Wanderlei Silva. Following a five-year hiatus from fighting on American soil, Emelianenko signed a multi-fight contract with Bellator last November. ‘The Last Emperor’ went undefeated from 2000 until 2010, recording 26 straight wins. His impressive performance and remarkable technique has gained him worldwide recognition as one of the best MMA fighters of all time. Mitrione joined Bellator in March of 2016 after six years in the UFC.